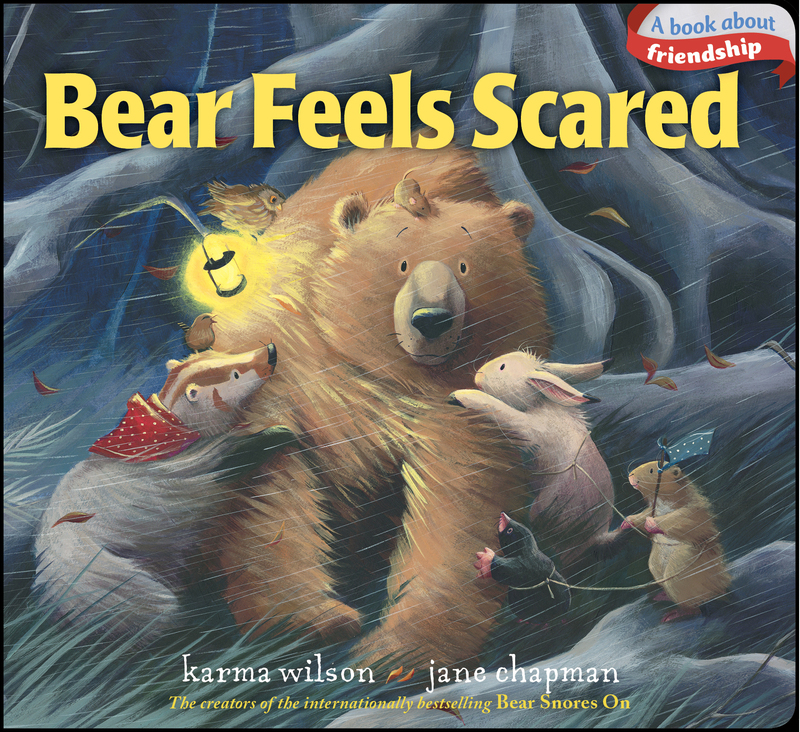 Bad weather frightens Bear, but his woodland friends are there to help him in this Classic Board Book from bestselling duo Karma Wilson and Jane Chapman! The sun is setting and it’s getting chilly. When Bear’s friends discover that he is not at home in his lair, they march out into the cold to find their pal. Friends don’t let friends stay lost! Wren, Owl, and Raven take to the skies while Badger, Mole, and Mouse search on the ground. Pretty soon Bear is found, and once he’s back in his cave, he feels quite safe with his friends all around. Little ones are sure to love the Classic Board Book edition of this sweet, reassuring Bear story!